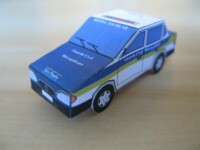 These are simple little toy cars. They are recommended for children and beginners. 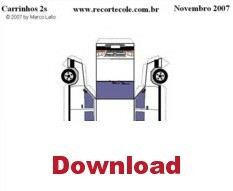 Download the PDF file of a white car. 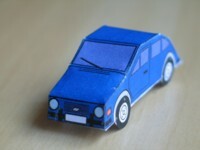 Download the PDF file of a blue car. 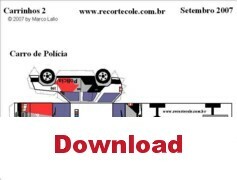 Download the PDF file of a Police Armored Car from Rio de Janeiro, called "Big Skull". 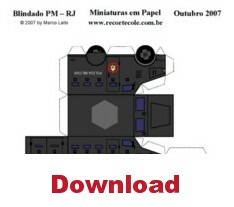 Download the file of a white Blazer. 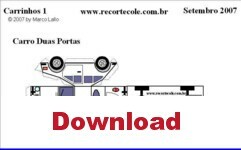 Download the file of a Police Car from Sao Paulo. 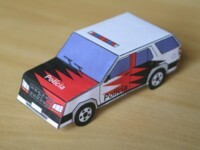 See also a more detailed Police Car HERE. 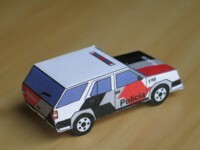 Download another police car from Guarda Civil Metropolitana of São Paulo. 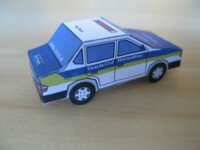 Download the file of a simple car. 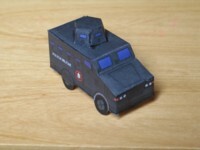 Paint it by yourself. You can get it gray painted. 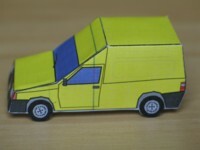 Download the file of a Yellow Van. 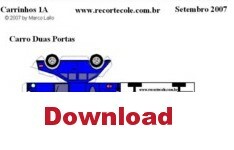 Download the file of a van. 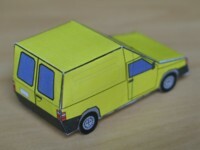 Paint it by yourself.